Find NC T-shirts, crafts, outdoor mountain gear and general merchandise on this NC online shop directory. Get Locally made Honey and Preserves, NC Apples, North Carolina Maps, North Carolina Guide Books, Camping equipment, hiking gear, handmade soap, handmade chocolates and all kinds of great mountain stuff! Shop our favorite NC stores or get great deals on things you need for your mountain vacation. Coston Farm 3748 Chimney Rock Road, Hendersonville NC - Gift boxes shipped direct from the farm. 187 Garren Road, Hendersonville NC - Apple gift boxes shipped direct. Lyda Farms 3465 Chimney Rock Road, Hendersonville NC - Online gift shop includes hats, totes, children's wear and more. Take $30 Off Any Order over $150 with coupon code 30OFFA, Only @ AnyPromo.com! Applies to item cost only. Coupons cannot be combined. Find a sampling of items for sale online or stop by the shop and enjoy the sound of a 12 foot waterfall, while shopping a 4,000 sq ft retail shop. Find the largest selection of candles in the area including YANKEE CANDLES. This unique boutique is a great place to shop if you want something special or a remembrance of the areas charming white squirrels and waterfalls. An outdoor retail leader in fishing, camping, hunting, boating, and outdoor clothing and one of America's premier outdoor retailers with destination outdoor retail stores across the United States and Canada, serving over 75 million sportsmen a year. Everything an outdoor enthusiast could need or want from the best of the national brands, to local favorites and quality "house-brand" specialties. The Southern Highland Craft Guild has been recognized for 7 decades as an industry leader in promoting the crafts of the Southern Highland region. Membership in the organization has always been regarded as an achievement in one's chosen craft. Its juried membership of over 900 craftspeople come from a 9 state region that includes counties within the Appalachian mountain area. Making jams and products since 1961 including jam, jelly, pickles, relish, chow chow, conserve, and preserves, Fruit Syrup, Salsa, and Apple and Peach Butter. All products including Gourmet or Pepper Jelly are available at retail and wholesale pricing. A family owned and operated shop in the heart of the Smoky Mountains offering a wide variety of hand-dipped chocolates, home-made fudge, gourmet coffees, Jelly-Bellies, truffles, gifts baskets and more. Treat your feet whether you're hiking the mountain trails or strolling the streets of quaint historic towns. Choose from a huge selection of comfort footwear from the best brands including: Ecco, Ugg, Dansko, Pikolinos, Keen, MBT, Beautifeel, and many more. Women's Shoe Sale at TheWalkingCompany.com. Get up to 60% Off on Select Styles, Including UGG Boots! In the depths of the depression, Stuart Nye bought some second hand tools and a little silver. Over the years production methods have been invented and evolved allowing this unique jewelry to be "fresh" and "different" with reasonable prices. The beauty of the jewelry comes from nature's inspiration and the skill and dedication of mountain craftsmen. Handmade as well as souvenir /logo items. Jewelry, clothing, souvenir mugs, wood products, reproduction prints, dolls, CDs and more. Profits benefit the Museum of the Cherokee Indian. Shop for the highest quality items featuring the exclusive Tail of the Dragon shop art work. These products are guaranteed to meet your satisfaction and are the perfect souvenirs to mark your ride at the Dragon, Cherohala Skyway, Devils Triangle, and Moonshiner28. From canoes to clothing for men, women and children, you'll find everything you need for all your outdoor adventures. 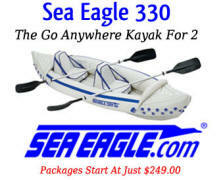 Get gear for paddle sports, camping and hiking, biking, rafting and gifts. Register online for email discounts and sales. If it's about nature, you'll find it here - birding supplies and feeders, binoculars, compasses, field and botany supplies, weather instruments, books and maps, gifts, clothing and more. Join owners of The Compleat Naturalist, Hal and Laura Mahan, for a free morning bird walk. Buy grass fed beef direct form a small family owned farm located in the far western tip of North Carolina. Our mountain farm has an elevation of 2,000 feet with cool moist summers, ideal for growing quality forages. These animals have no added hormones, antibiotics or fed any whole grains. Added health benefits include: omega-3 fatty acids, two and one half times the amount of CLA than regular beef, and higher levels of antioxidants. Apple Mill® orchard is located on the southern slopes of the mountains of western North Carolina, home of apples known countrywide for their exceptional flavor. Apple Mill® products are made with fresh apples from the orchard and from neighboring orchards. Apple products are prepared on site at Apple Mill's® outlet store. Glass windows allow customers to view production. Since 1883, the Mast General Store been outfitting the Appalachians with traditional mercantile goods, comfortable clothing, rugged footwear and quality outdoor and hiking gear for all mountain seasons. The online shop offers wqeekly specials and featured items. Select from 130 handmade soap varieties and handmade soap gifts. Soaps are made completely from scratch using the cold process method, with raw ingredients and recipes the Shed created. Each soap listed on the website will include the ingredients used to make that soap along with a general description of the soap. Discriminating chocolate lovers have been enjoying quality, award winning, handmade chocolates from The Chocolate Fetish since 1986. Only the finest ingredients are used and all signature products are made in small batches to assure you receive maximum freshness. No chemical preservatives or vegetable oils are used. Show your support and enthusiasm for the Blue Ridge Parkway by purchasing the Foundation's officially licensed collection of logo'd apparel and accessories including T-shirts, sweatshirts and hats. New items and updated products are added often. Shop online or at the stores located within 14 visitor centers along the Parkway in both Virginia and North Carolina. Great gear to use and wear while you help the Friends of the Smokies preserve, protect and provide for the vast network of more than 800 miles of scenic trails in the Great Smoky Mountains National Park. Buy NC T-shirts, caps Great Smoky Mountains National Park Maps, Old Time Mountains Music and other CDs NC books and much more. This is a great shop with quality products..
Home of all the official guidebooks and maps for the Appalachian Trail, along with interpretive and photographic books about the Trail and A.T. apparel and unique gifts. Altrec offers over 5500 items of outdoor gear and clothing from The North Face, Mountain Hardwear, Burton, Marmot, Patagonia, Nike, Arcteryx and more. Free shipping on orders over $50, a 100% satisfaction guarantee and price-match plus policy. Experience firsthand this rich tapestry through the books, documents, maps, and posters of the North Carolina Office of Archives and History, Historical Publications Shop. From popular paperbacks, to scholarly resources, all these publications must meet the highest research and editorial standards. A small, independent book publisher specializing in adventure guides to the Southeast. Their books cover hiking, mountain biking, road bicycling, motorcycling, rockhounding, whitewater kayaking, and more in western North Carolina, Upstate South Carolina, north Georgia, east TN, SW Virginia. FREE shipping and great prices on top brand name lighting and furniture. Carolina Rustica has been a leader in high-end home furnishings and lighting since 2000. You'll find brand names in furniture, iron beds, home lighting, kitchen decor and outside furniture. The website showcases more than 50,000 products. 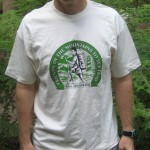 Design you own T-shirts for events, your favorite mountain photographs or to promote your business. These are Quality screen-printed t-shirts for any group or occasion- events, company promotions, bands, sports teams, family re-union or business gifts. 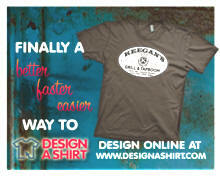 Put your logo, design or photo on any of these blank brand name shirts. shirts. Choose from a variety of T-shirts, caps and patches to help you show your love of the MST!